The cheesy meatballs recipe is another I got from my mother-in-law. It works well to use a slow cooker instead of the oven to finish it up, too. To make in a crock pot or slow cooker, layer the meatballs and cheese sauce mixture, ending with a layer of cheese sauce on top. Cook on high 3-4 hours. This recipe is easy to make and a crowd pleaser. Mix all ingredients in a large bowl. 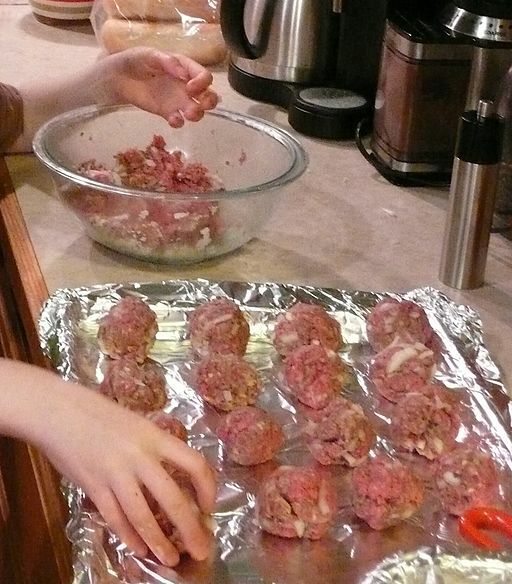 Make slightly flattened meatballs using 1/3 cup of the mixture. Brown meatballs in oil. Drain meatballs and place in a 9X13 inch baking dish. Pour the soup mixture over the meatballs. Bake in 350 degree F oven for 20 minutes or until soup bubbles. Click here for the Lemon Bisque Recipe.